You are here: Home / Destinations / Italy / We’re Heading to Europe! So, I’m scrambling to finish up some last minute errands because in just over three hours, I’m leaving on a very exciting trip. Tomorrow afternoon, Kevin and I will arrive in Venice to begin a three-week adventure that will take us across Italy, the Netherlands, Malta (me), Prague and Berlin (Kevin). It’s our first time visiting most of these places, so we couldn’t be more excited. 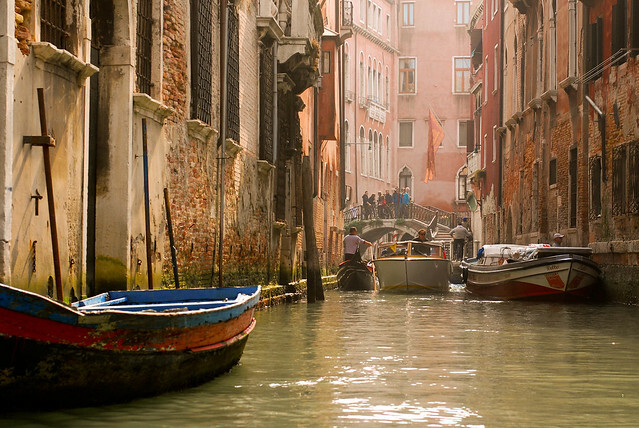 We’re starting by staying just outside of Venice for two nights, venturing in to explore the lovely city of canals. While I’m not eager to fight the city’s notorious crowds, I’m excited to see this historic, but sinking city. We will not be hiring a gondola. We’re then spending two nights visiting Florence. I’ve heard so many travelers rave about this city–the cultural heart of Italy–I’ve long looked forward to the chance to visit. I admit, I’ve never really understood Renaissance art which is HUGE there, so I’m using our time in the city to learn more about this important time period. 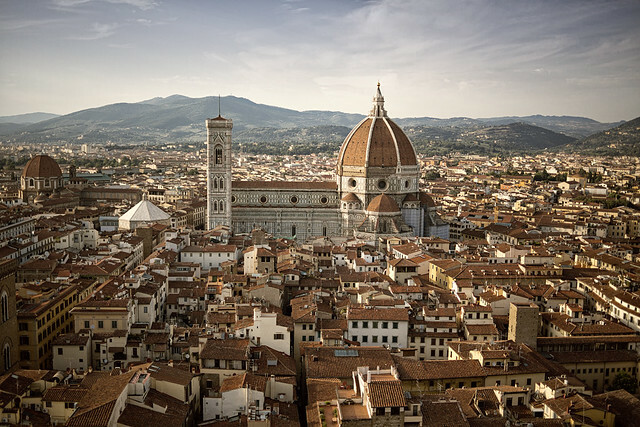 Kevin and I have been studying by watching a 4 hour documentary series about the Medici family (powerful Renaissance art patrons) and reading the archives of my friend Jenna’s blog who has written extensively about Florence and Italian art. We are also planning to do a Florence walking tour with the company, Walks of Italy, so I’m eager to ask lots of questions and (I hope!) learn to appreciate this important time period. 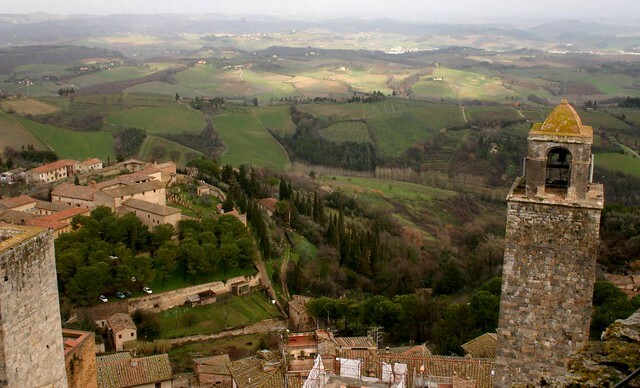 After Florence, we’re moving out to rural Tuscany to visit Siena (my college’s namesake) and explore some of the medieval hill towns. We’re going to be looking for vistas like the one above and drinking plenty of hearty red wines. At the end of our visit to Italy, we are spending a few nights in Modena, exploring Modena, Parma, and Bologna as a guest of the Emilia-Romagna Tourism Authority. This is the agricultural heartland of Italy and I’ve heard that many Italians think this region has the best food–which is saying something! At this point, Kevin and I will part for a few days. 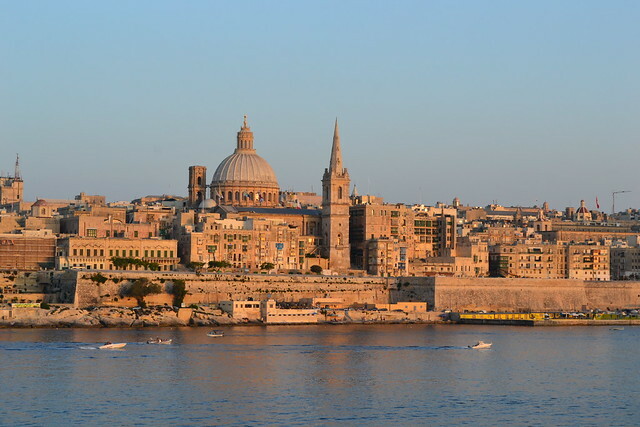 From Italy, I’m heading to the country of Malta as part of a media campaign called Blog Island–Malta and Gozo. I’ll be joining a handful of other bloggers to explore these lesser-visited (but scenic and historic) European islands. To follow along, we’ll be sharing photos and stories at the hashtag #MaltaIsMore. 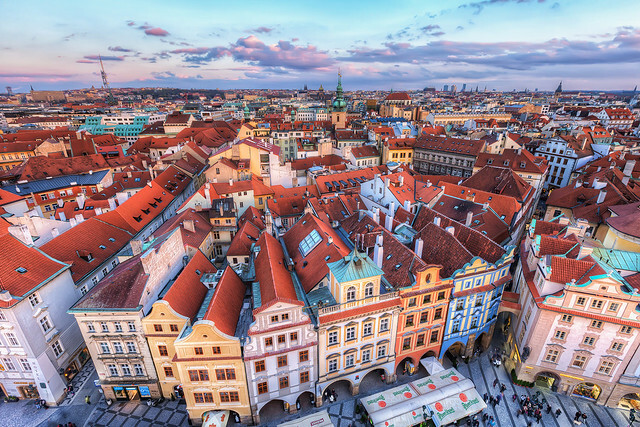 After I leave for Malta, Kevin will have half a day in Milan before flying to Prague to meet up with some college friends that have been traveling through Europe now for several weeks. After Prague, they are visiting Berlin for a few days, before heading to Amsterdam. We’re ending our journey by re-uniting in Amsterdam for a few days before returning home. I’m eager to ride bikes everywhere and explore this famously sustainable and liveable city. We are starting and ending the trip on the banks of canals. We have a few posts scheduled to go up while we are gone (including one about Baja California’s wine country and a very special guest post submitted by an EIT reader!) I also plan to post a few times with photo updates. So as soon as I hit “publish” on this post, I’m closing the computer and heading to the airport! Before I do that, I wanted to tell you how excited I am to share this adventure with you! Follow along on Instagram or join our email list to get updates as soon as they post. Do you have any tips? Things we should see/do/eat? Please share them in the comments. Wow, I’m even more excited than I was before! What an itinerary. I’m especially excited to see your updates from the Modena and Bologna areas. So excited for you, Cassie! Thanks, Noe! Kevin and his friends did visit the Anne Frank House when I took off to ride bikes out in the countryside (Kevin doesn’t like bikes so I took advantage of the time he was with his friends to do that, though I’m sad I missed the Anne Frank House. And we didn’t make it to the Heineken Experience, though a few of Kevin’s friends went and said it was fun. Wow what an amazing journey you guys have before you and as always the photos are so amazing that I must share them. Can’t wait to hear and see more about your adventures over in Europe! So exciting! I hope you have the best time! Our favourite stop during our recent stint in Italy was the Emilia-Romagna region: the food definitely did not disappoint us there! Conversely, we were really let down by the food in Florence and were generally underwhelmed by the city, so it will be interesting to get your own take on things once you finally make it there. The food in Emilia Romagna was amazing, and definitely the culinary higlight of the trip (other than all the Indonesian food we ate in Amsterdam–HUGE discovery for me, though I’m sure you guys already knew this?) We did have amazing gelato in Florence and while not classy food, a fun experience with “apertivos” (buffet dinner in a bar, typical in Florence; http://www.fourjandals.com/europe/experiencing-aperitivo-in-florence/) one night which I enjoyed. I can’t remember if I’ve read any of your Italy stuff yet, I’m heading to your site now to check! Cassie, Have fun! Malta is one of my favorite destinations! Enjoy. I really liked Malta, such a surprisingly beautiful place and a unique mix of cultures. I loved hearing the language spoken! I hope Venice wasn’t too crowded, as you are going on the sort of off season. You should have road in a gondola! Embrace the tourism, lean in to it! I did with my family the first time I went and SO GLAD I did! Give me a buzz when you are back, I want to hear all about it!! Haha, the more I travel, the harder I find it to embrace the crowds. But that’s probably because I’m getting older (and grouchier!) But Venice was certainly beautiful! Amsterdam- my mom was just there and she said to skip Anne Frank and check out the Corrie ten Boom house instead. Hi Jennifer, thanks so much for these suggestions! My computer broke near the beginning of the trip, so I’m finally getting around to reading these comments–a little too late, unfortunately. I’ve never heard of the Corrie ten Boom House, looking it up now! It`s so lovely to hear that you are visiting Emiglia-Romagna and especially Bologna as it such an amazing city! It`s usually off the most travelers lists but as an ex resident of Bologna i have to say it is so absolutely beautiful and lively! And there is so much good places for foodies to try! I`m sure you`ll enjoy it! Oh, besides, Malta is also very lovely, I`m currently residing there! :) Enjoy Europe! There`s so much culture around here! Thanks, Aiste! We went on this trip last year and really enjoyed them. Beautiful places!